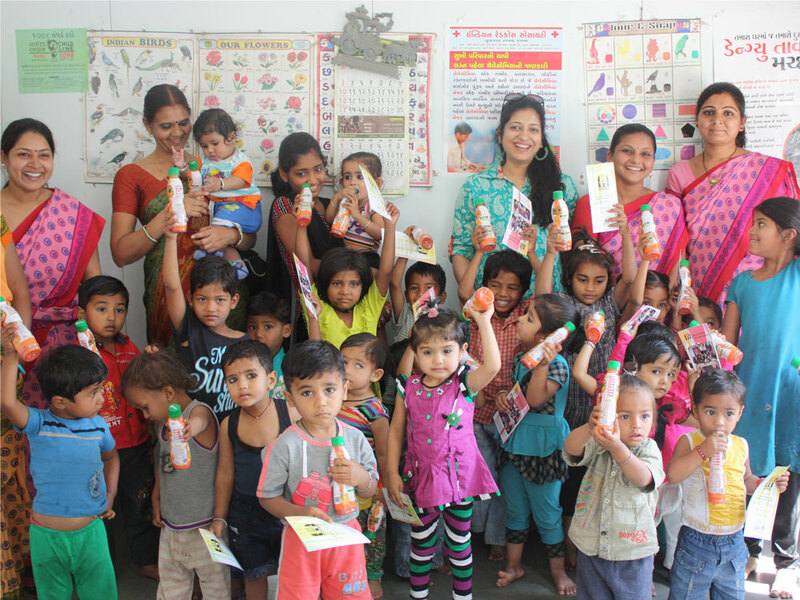 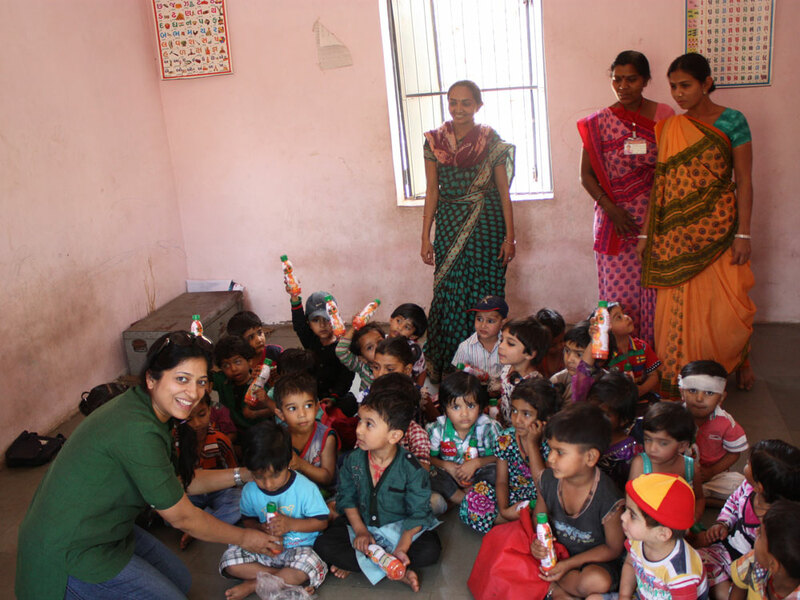 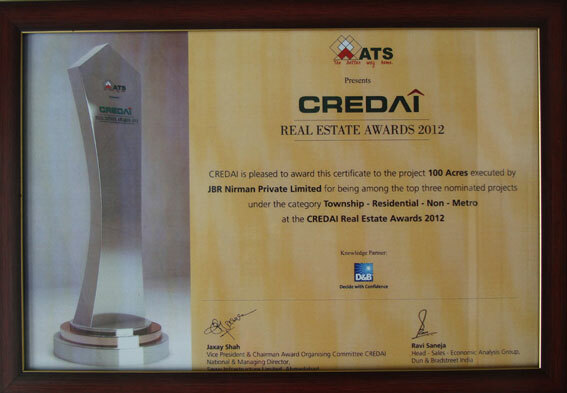 JBR Nirmaan Sharing the accolades won in our journey of excellence. 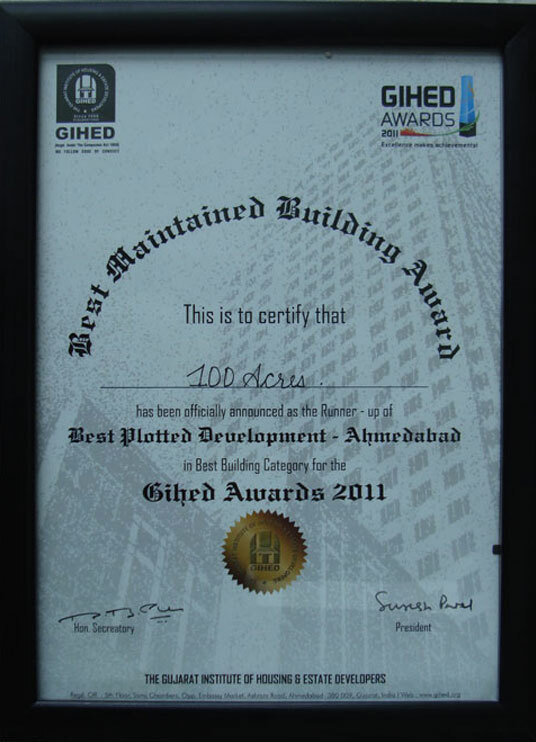 Here are few of the milestones we have achieved. 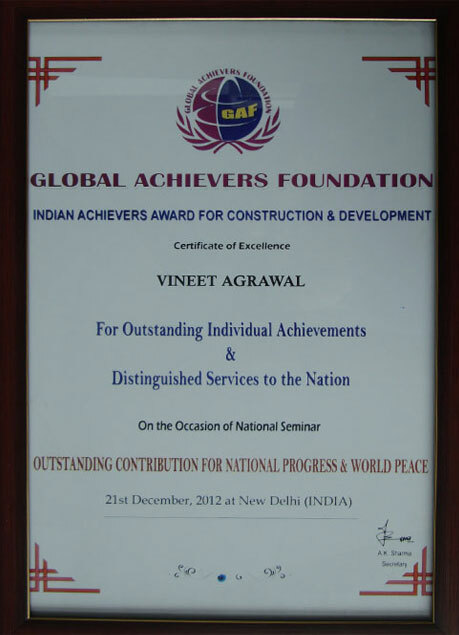 Award– Global Achievers Foundation – 2012 New Delhi Indian Achievers Award for Construction & Development. 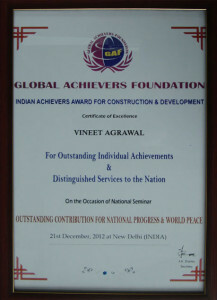 Takeaway – The certificate of excellence for outstanding individual achievements & distinguished service to the nation. Award– CREDAI ~ Real Estate Award 2012 Under category of Township – Residential – Non – Metro. 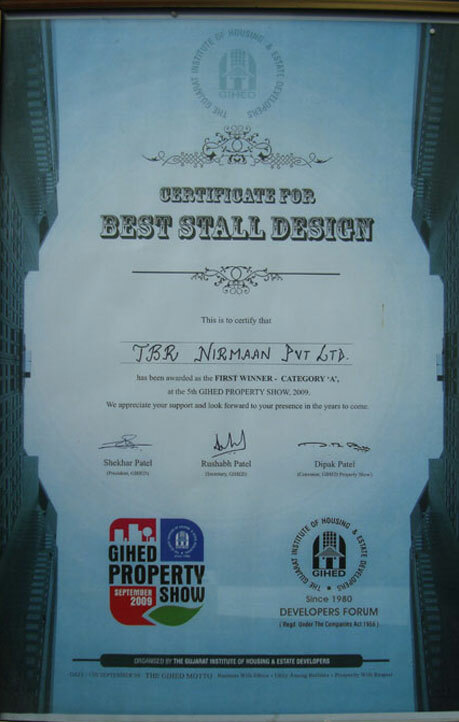 Takeaway – The certificate to the Project 100 acres executed by JBR – Nirman Private Limited for being among the top three nominated projects. Takeaway – The certificate for best plotted development – Ahmedabad. Takeaway – The certificate for first winner at the 5th GIHED property show.